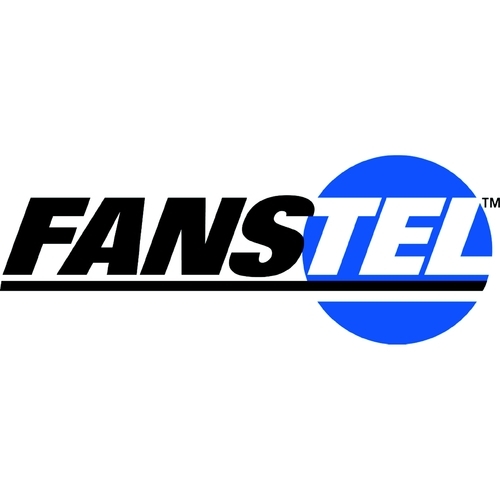 The Fanstel 50dB 2-Line Amplified Business Speakerphone is a sophisticated telephone that can digitally adjust frequency-specific volume levels so that any user, especially those exposed to harsh noisy environments, can comfortably and clearly hear a caller's voice. It boasts highly flexible sound settings: incoming voices may be amplified by up to 50dB with extra amplification for high frequencies. This level of amplification has been tuned to effectively restore the perception of many phonemic distinctions common in speech. The internal acoustic chamber also restores low-frequency components in the incoming voice signal, allowing the speakerphone to deliver a crisp acoustic experience one would have only expected from a high-end conference speakerphone. The huge 7.4 square inch display allows a user to read the screen comfortably even from a distance. This phone also features a quick and easy way for busy users to stay in touch - even out of the office. With a touch of a button, incoming calls can be set to be forwarded to a mobile phone. - Up to 40dB amplification with extra amplification for high frequencies. - Frequency-Specific amplification for both handset and headset. - Automatic activation for frequency-specific amplification. - Search for number in directory by simply entering name. - 4 programmable one-touch memory buttons. - Messages button to access voice mailbox. - One Touch Call Forwarding: Don't need to wait for the end of dialing sequence for Call Forwarding before leaving office. - LED light to indicate that phone line In Use. - Speakerphone and mute LED indicator. - Basic telephone functions still maintained without power supply. - Memory retention without power. - Tone or pulse dialing. - 99 name/number Caller ID log. - Supports Caller ID/Call Waiting ID on both lines. - Voicemail waiting indication for line 1 and line 2. - Power Supply: AC adapter (included). - Size: 235 x 182 (mm); 9.27 x 7.18 (inches).